In other news, I wrapped up some Valentines work last night. Well, I say wrapped up. By that comment, I mean Holden’s friends are done. I’m still working on some family treats plus treats for my students. I’ll share those later in the week. Pictured below are Mott’s applesauce to-go snacks with H’s little card on top. I found the template for the actual Valentine through Pinterest. When I clicked on the photo, it took me to this website where I was able to download and print. Thank you Funny Polkadot Giraffe! I just printed, cut out little red construction paper circles, glued two pieces together, and then taped on the Valentine tag. DONE. 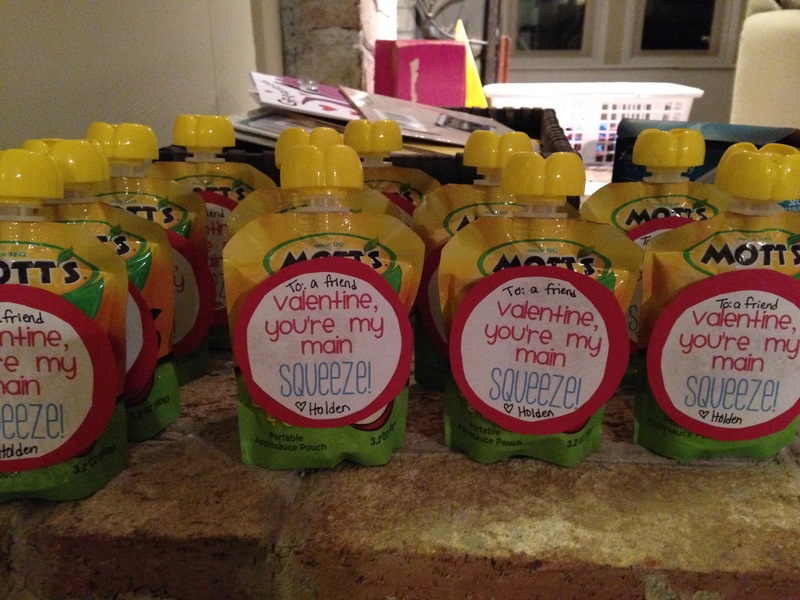 Although I did most the work with these, H has been helping me get his family Valentines straight. He did the painting and selecting who will get which one. We just have to have him sign his “H” to each before sending them out. Clearly, he is a paint genius. Ha! Having a kid is usually fun but especially so on these holidays! 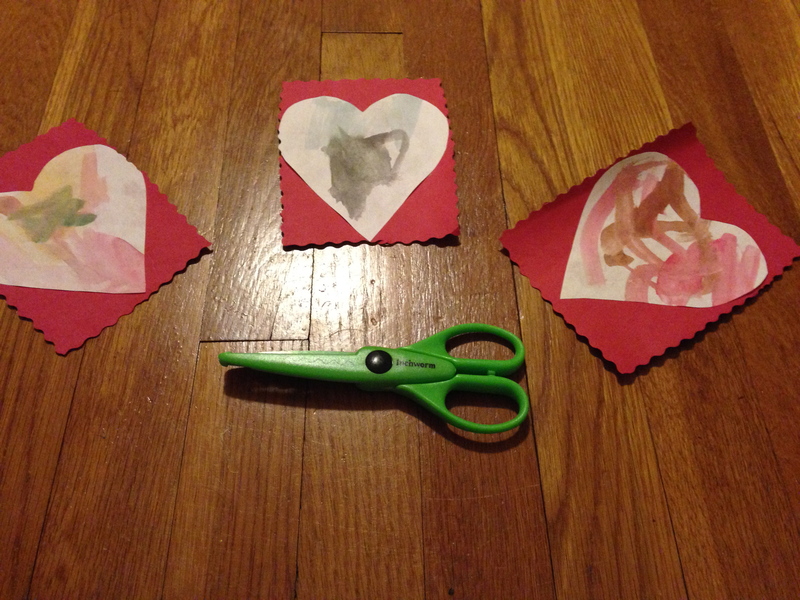 This entry was posted in DIY and tagged DIY, DIY Valentines, Valentine's Day. Bookmark the permalink.